The idea stems from questions echoed by our First Nations membership on the topic of community economic development, “How can we better support our community entrepreneurs and businesses?” To begin building our economic footprint, we must promote our entrepreneurs and businesses that are creating this footprint. How do we do this? By providing accessible business support tools and systems like this directory to help our entrepreneurs and small businesses succeed. 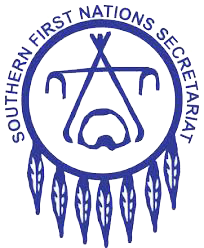 The Southern First Nations Secretariat Business Directory is an economic empowerment tool for our First Nations entrepreneurs and business owners. Designed with the sole purpose of helping businesses build their online business presence; the directory is free and open to all SFNS affiliated First Nation communities. What does this directory do for me? The directory performs two major functions. First, it’s a tool that can capture the business presence in our communities, which is really important to know. Second, and this is the most important part, it’s a smart business tool designed to attract new business from perspective online customers. As a member, you are listed in the directory and its branding and advertising opportunities are open to you. We recognize that every business, organization, and entrepreneur has a purpose and a mission to succeed. One of the purposes of this directory is to help you become known in your community and make important connections with potential consumers or clients that you need to reach. As a member of the directory, we help you get your business connected. Recent business consumer reports indicate a significant percentage of consumers are more likely to purchase goods and services from businesses they know. Getting your business in front of potential clients is important to your bottom line. For entrepreneurs and businesses alike, one major challenge is to get noticed by new customers using online technologies. This business directory will make that job easy so that you can focus on what is most important – your business. building your bottom line, building our economy. A strong business climate and economy stem from many businesses and communities working together, sharing a common goal. The directory works diligently to build business relationships within all aspects of our communities – Councils, businesses, community groups and organizations to help our First Nations continue to advance together. Created as a joint initiative with Aamjiwnaang First Nation, Caldwell First Nation, Chippewas of the Thames First Nations, Delaware Nation – Moravian of the Thames, Munsee-Delaware Nation, Oneida Nation of the Thames, and Kettle and Stony Point First Nation. Designed for small business, the directory is free to use, and open to all SFNS Member First Nations community businesses. Whether you are an entrepreneur, not-for-profit, or corporation, your space on the directory is waiting for you. Need help with your business listing? If you find yourself having any problems creating your business listing please contact the site administrator using the contact form. They will be happy to help you create a really great business listing and they love what they do!